Whether you are a beginner in the sewing world or an expert who has completed innumerable projects, there is always a chance that your sewing machine might create some trouble for you. Sometimes it can be that annoying sound or as bad as the machine refusing to work at all. 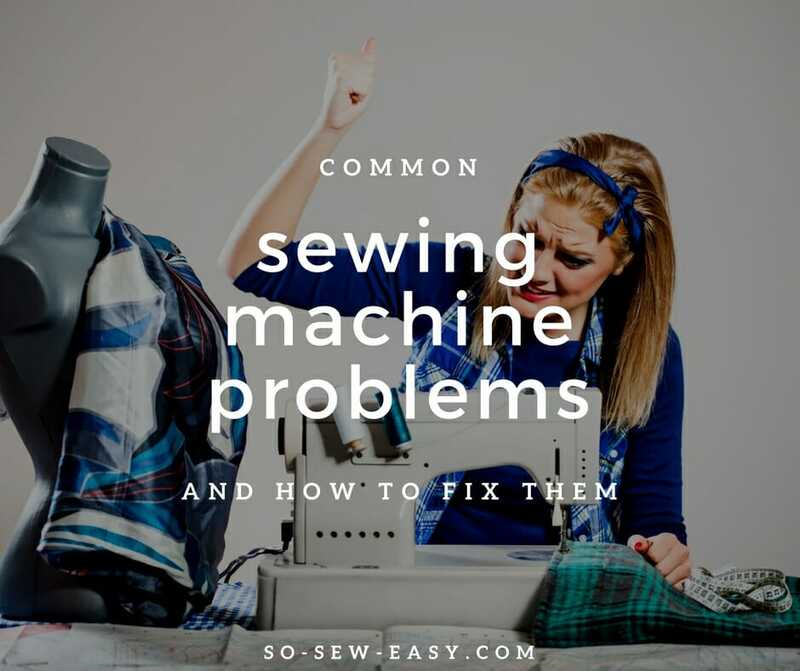 Here are 5 common sewing machine problems encountered by most of the sewing enthusiasts and ways to fix them that don't involve seeking outside help. This is one of the most common sewing machine problems faced by all. This could be because either the thread or the needle is not properly set up. Read the user manual carefully while threading and inserting the needle. While threading, make sure that the presser foot is up and once threaded the presser foot should be brought down. Similarly, make sure that the needle is facing the right side of the machine so that it picks up the thread while sewing. Sometimes while stitching you might notice a bunch of thread beneath the fabric even though the top stitch looks perfect. This could be because of various reasons. If the bobbin is not threaded properly then the bunching is likely to occur. For this, take out the bobbin case and rethread it. This can also happen if the bobbin thread is too loose. In that case, adjust the bobbin properly to get the right tension. Stitches become uneven mostly because of broken needles. Experts are of the opinion that the needles should be replaced after a stitching time of 16 hours. If you have the habit of pulling the fabric from behind while stitching, then it can also lead to uneven stitches. The solution for this is to replace the needle at right time and follow correct stitching practices. Needles break if you use the wrong needle with the wrong fabric. Needles are sized from 8 to 18 in American sizing system. The lower the number of the needle the finer the needle is. So if you use an 8 number needle to sew a denim fabric, it is more likely to break. The only solution is to use the right needle for the right fabric. Sizes 8-11 can be used for delicate fabric like silk and chiffon while size 12-14 can be used for medium weight fabric like flannel. Size 16-18 can be used for heavy fabric like denim. 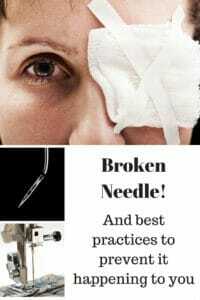 We've written a whole article on the dangers and prevention of broken needles. Please feel free to check it out. If the machine produces abnormal sound, then it is an indication that the machine is jammed or requires cleaning. Switch off the power before inspecting the machine. Sometimes lint build up occur as a result of constant sewing. If so, clean the lint using a brush. The machine should be oiled using sewing machine oil to prevent rust. Make sure that all the screws are in place and tight. 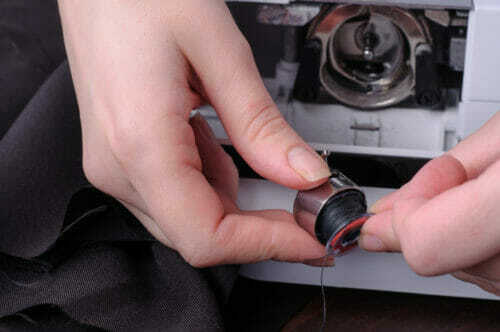 For a complete guide on how to clean your sewing machine. Please refer to the linked article or watch the video below. 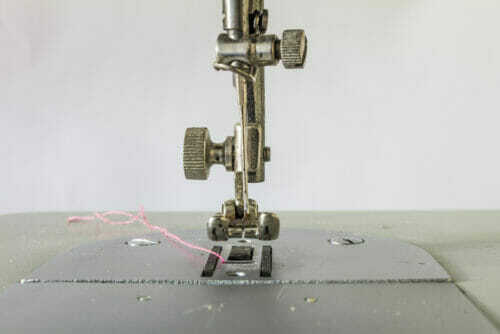 These are few of the common sewing machine problems that you may face as you practice your hobby. Hopefully these tips will help you find and resolve the issue. If the machine is still not working properly even after all these things are checked, then you should seek the help of a qualified technician to figure out the real problem and get it repaired. I’m throughly confused by the relationship between top tension knob, stitch length knob and the spool tension. The handbook gives minimal help. The machine isn’t stitching correctly on simple cotton sheeting with the same good thread top and bottom. Whatyever I’ve tried I’m still getting uneven stitching which is almost like gathering! Help! Have you changed your needle? When my thread bunches up underneath it is due to the top thread not being threaded properly, even if it appears to be in there correctly. I found this in the trouble shooting section of my machine’s manual, and sure enough, when this happens I pull out my top thread and rethread my needle and all is back to normal with no troubles. something mine does at the weirdest of times. My Pfaff Ambition 1.5 has a clip over it to hold the thread in, but makes no difference. I have spring/gripping tweezers that I sometimes use to weight down the threads whilst starting to stitch where I have limited room & no chance to start on a piece of scrap or wash/tear away in the case where there is snarling with no other indication of problem. HI Tina, this is perhaps a design problem, and one I think Pfaff would like to hear about. The good thing with this brand of sewing machine is that they will listen to your feed back. I suggest you make a video and send it to PFAFF head design office they might be able to suggest something. Most of the bobbin thread bunching is not the bobbin thread at all, but incorrectly threading the top of the machine. Try using two different colors of thread to test which is actually the problem. Also try holding the thread tails for the first few stitches and see if that doesn’t also help prevent thread bunching under the fabric. Thank you Sammi, indeed this is useful information! If there is a mess of thread under the fabric, it’s usually the top thread that is the problem. Remove the top thread from the machine. ALWAYS RAISE the presser foot and rethread from the beginning. Frequently, doing this will stop the thread mess. It may also help to hold the two thread tails in your left hand while taking the first couple of stitches.